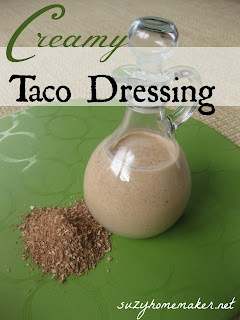 About a month ago I made a taco dressing. 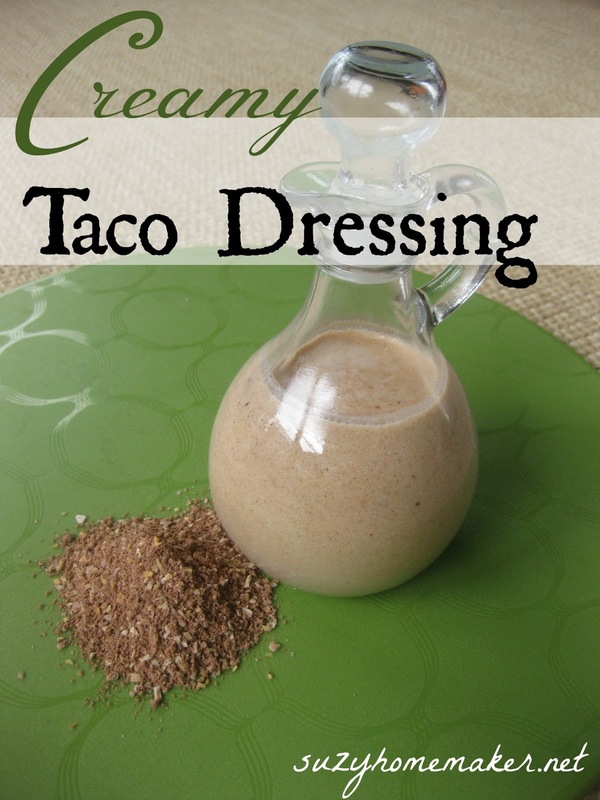 In the dressing, I use Dyno-moms secret taco seasoning. I made a big batch so now I always have it on hand. Since then, this has been my go-to dressing. I have made it just about every week and have not gotten sick of it yet. I did slightly tweak it though to make it creamy. It almost seems silly to write a whole new post just for the one change I did, but the creamy version is just as good and deserves it's own post. Yes, that was it. Like I said, I didn't really *need* to write a whole new post. Enjoy!